Roanoke Island is nestled between the North Carolina mainland and the Outer Banks. Follow U.S. 64 East to Manteo. After crossing the Virginia Dare Bridge, turn left at the first stoplight. Follow this into the town of Manteo. Turn right at the stoplight on Budleigh Street. Go to the end of Budleigh and at the stop sign, turn left. The road will end at the Tranquil House Inn. Turn right and cross over the short bridge. 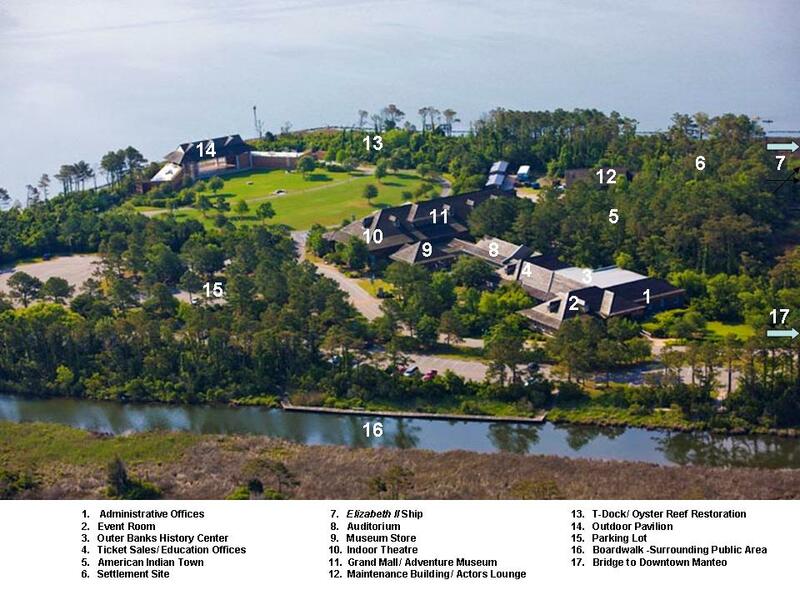 You are now on the 27- acre site of Roanoke Island Festival Park. Follow 158 By-pass to Highway 64 towards Manteo. You will cross over the smaller Melvin Daniels Bridge and then the Washington-Baum Bridge. After crossing, stay in your right lane. Take a right at the fork – a blue and green sign will say- Roanoke Island and Attractions. Follow this into the Town of Manteo. Turn right at the stoplight at Budleigh Street and follow it to the end. Turn left at the stop sign. The road will end at the Tranquil House Inn. Turn right and cross over the short bridge, which will bring you to the site of Roanoke Island Festival Park.